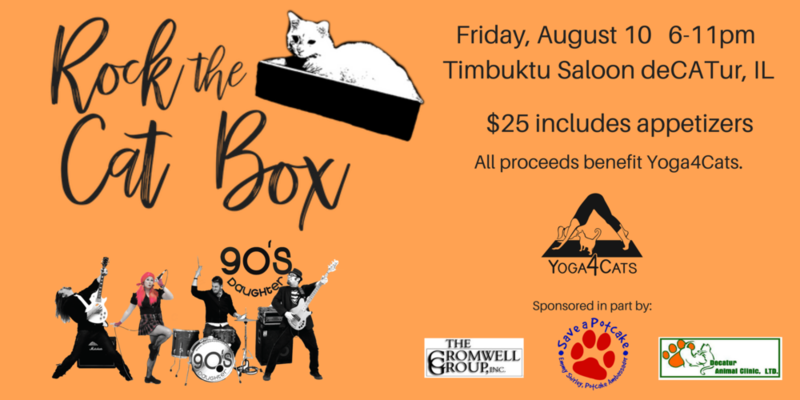 Rock the Cat Box, a 90’s themed Yoga4Cats fundraising event, will be held on Friday, August 10 from 6:00 – 11:00 pm at Timbuktu on Rt. 36 in deCATur, IL. Popular Central Illinois band 90’s Daughter will be performing at 7:00 pm. The event will have live music, silent auction, hand stamped jewelry from The Laurel & The Linden (fka L&L Studio), cash bar with drink specials, summer games with prizes, bake sale and more! Each $25 ticket includes heavy appetizers, like pulled pork sliders and fried mushrooms, from Timbuktu. All proceeds benefit Yoga4Cats, a 501c(3) non-profit and foster based animal rescue. deCATur's only cat-focused animal rescue. 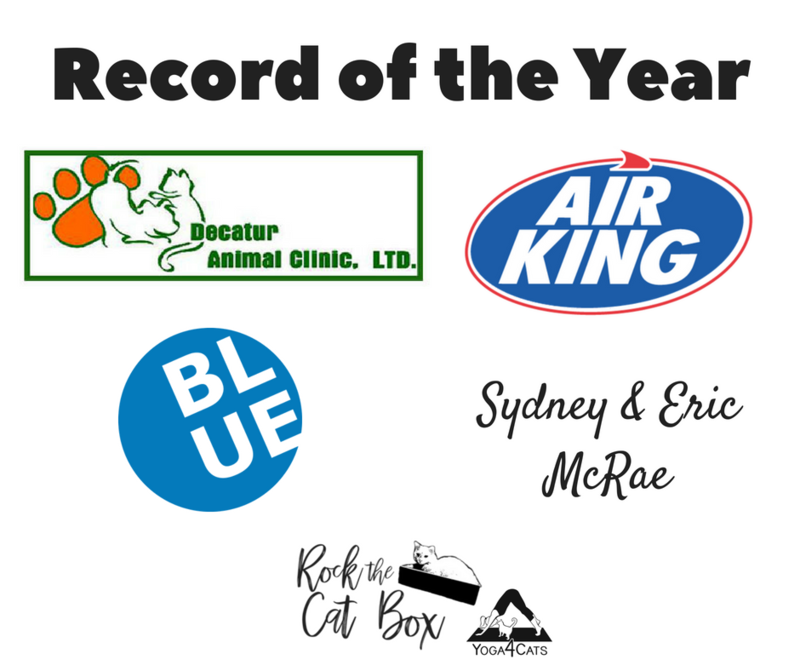 A huge thanks to our major sponsors, The Cromwell Radio Group, Emmy Shirley – Potcake Ambassador Decatur Animal Clinic, Decatur Blueprint, and Air King. The Laurel & The Linden will be at Timbuktu with their One Stop Pop-Up Stamp Shop! 90s Daughter is from Champaign, IL - voted "Best Band" in Champaign 2013, 2014, and 2015! This high-energy party band knows how to get the crowd moving, and leads the party every time the perform! Created in 2009 by members of Midwest party band "The Brat Pack", the band continues to reach new heights, new fans, and new parties! The Laurel & The Linden's One Stop Pop-Up Stamp Shop is a travelling workbench that allows Lindsey to create one of a kind, completely personalized jewelry, key chains and more without the wait time and the shipping. The One Stop Pop-Up Stamp Shop doesn't take orders, you just walk up, tell her what you want, and it is made right in front of you! You can only access the stamp shop at special events, don't miss it at Rock the Cat Box! Tickets: $25 includes heavy appetizers - On sale now online https://rockthecatbox.eventbrite.com or at Timbuktu!